In June, Attorney General Reyes and Assistant AG Allison Garner sat with the Commission for the Stewardship of Public Lands to discuss several issues, including the recent Uncompahgre Reservation litigation and what that means for Utah. You can listen in to the entire conversation, embedded at the bottom of this post. The discussion on the Uncompahgre starts at about 13:34. Earlier this year, the Ute Tribe filed four cases stating the United States Federal Government violated several statutes by giving, selling and leasing land on the Uncompahgre Reservation to nontribal members. The 28 claims include alleged breached contracts, natural resource revenues, and a violation of the Fifth Amendment by taking property without paying for it. The Office of the Utah Attorney General has been carefully monitoring the progress of this case. One of many reasons is there are sections of land scattered throughout the Uncompahgre, held in trust since statehood, on which millions of dollars in potential oil and gas revenue could be generated for Utah schools. The Utah School and Institutional Trust Lands Administration oversees those trust sections. While the case doesn’t mention SITLA specifically, the impact on SITLA could be extensive, and a major source of funding for Utah schools might be in jeopardy. The tribe is asking that the control of lands be taken from the Bureau of Land Management and restored to the tribal authority. And the Ute Tribe needs to do what is best for the Tribe. 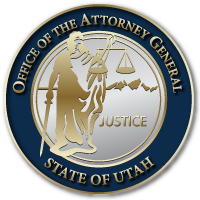 The Office of the Attorney General, in turn, needs to do what’s best for Utah. Although we haven’t decided to weigh in yet, we continue to watch with interest. Learn more at the links and audio embed, below. This entry was posted in Recent Posts and tagged SITLA, Uncompahgre, Ute Tribe on July 19, 2018 .